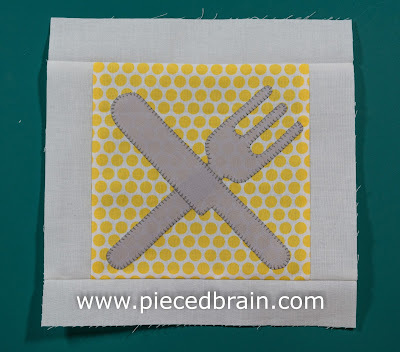 This is block #25: Eatery, for our City Girl Sew Along. 25 blocks! I am so tempted to start assembling this quilt. I am planning 10 more blocks yet it will take a great deal of willpower to wait that long. If I succumb to the temptation I will put everyone on alert! Anyway, this is another fast block. I used Honeycomb Dots by Riley Blake Designs as a background within a white frame. 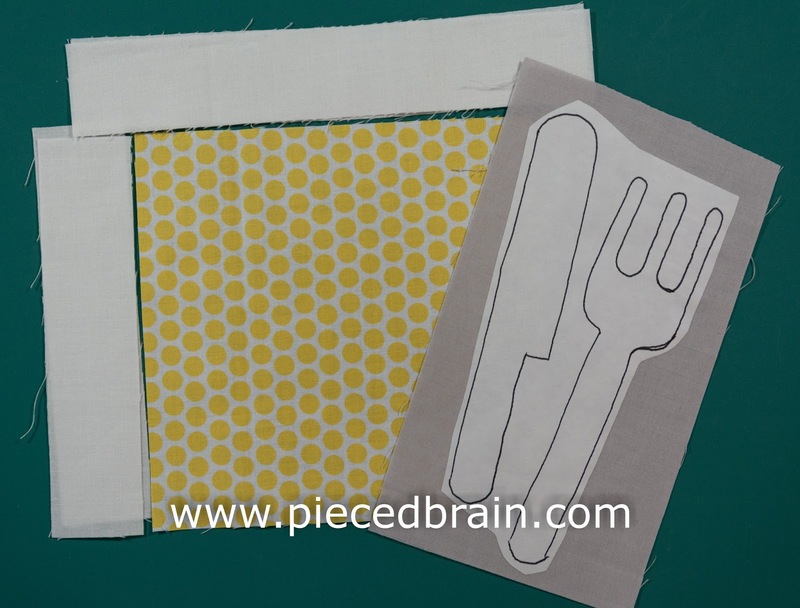 The utensils were done in grey (I could have used a darker fabric so the background would not show through... oh, well). 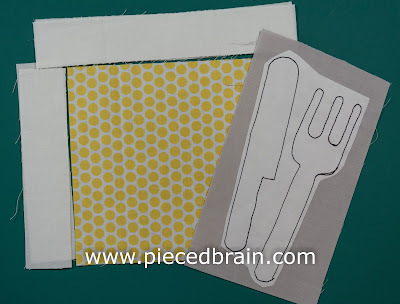 The machine applique was done with Aurifil 40wt which my Bernina (and I) love. Download utensils template by clicking here. 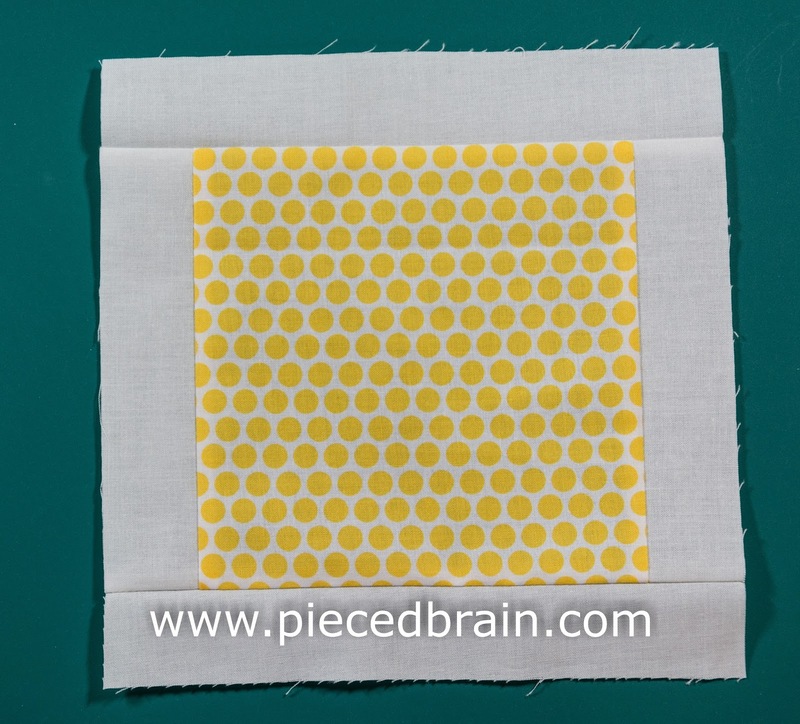 Trace shapes onto smooth side of fusible web and fuse it to wrong side of fabric. For details on how to work with fusible web, click here. Using sharp scissors, cut around each utensil. Stitch 2 smaller rectangles to two opposing sides of the background square leaving a 1/4" seam. Press seams towards center block. 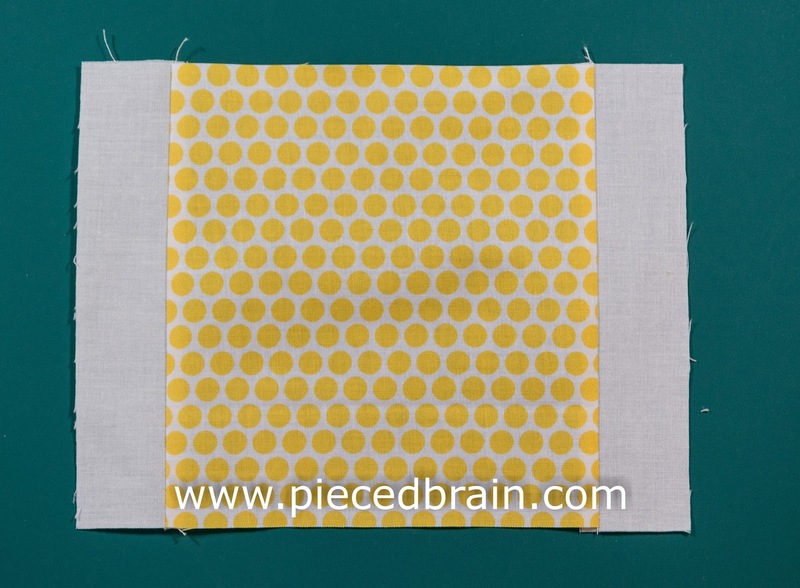 Stitch longer rectangles to block and press seams towards the center, also. 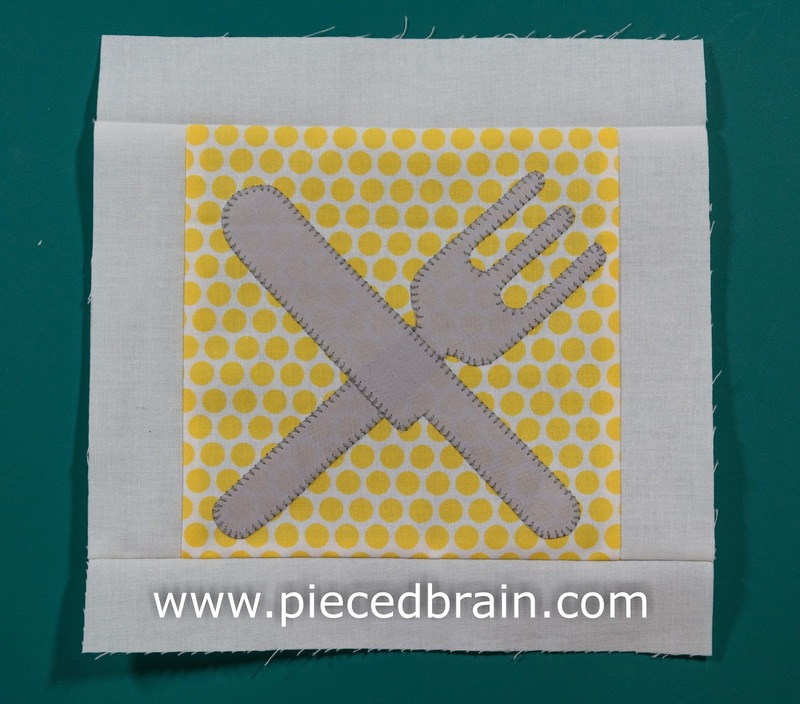 Fuse utensils to block and machine applique with blanket stitch as shown above. I like to press the back of the block after the applique' is done to set the stitches. I love that she added the birds to the Bridge block and that she chose to go East as I am going South on the Train Station! :- Many Pinterest followers are pinning the blocks - guys, I would love to see your completed blocks, too! 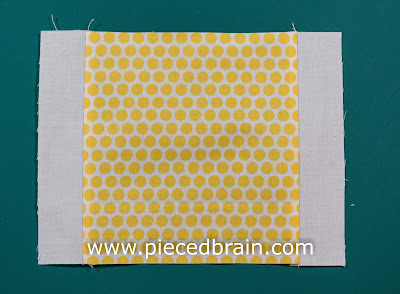 If you are just joining us you can find all the other blocks, templates and tutorials in the City Girl Sew Along page.